Home/Healthy Lifestyle/Where Are All the Hemp Products? Previous blogs have focused on the multitude of products that are sourced from sustainable, industrial hemp. As you’ve seen, the hemp market interfaces with many other market sectors and industries including human and animal food, clothing, textiles, building and industrial materials, energy, automotive components, health and medical products, and more. So where are all the hemp products? It’s all about supply and demand. In this case, the availability of American-grown, industrial hemp is insufficient to provide the raw materials needed to produce some hemp-based products on a large scale. This is largely due to existing legislation that prohibits, at the federal level, hemp farming in the United States. Many states, including Colorado, have passed legislation that allows the cultivation of hemp. Those operations are subject to restrictive regulations and requirements. According to the Global Hemp Group, it is believed that, for more than 75 years, industrial hemp was “purposely connected to its sister plant, ‘marijuana’…in order to suppress a superior commodity that threatened the market share of many industries.” These competing industries include food, fuel, agriculture, cotton, timber and others. 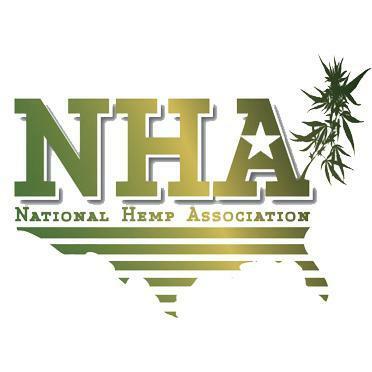 Several nonprofit organizations, including the Colorado-based National Hemp Association (NHA), facilitate matching hemp-based businesses and manufacturers with suppliers. However, the NHA says that the manufacture of many hemp products is on hold because an adequate hemp supply is, in effect, held hostage by current legislation. Some manufacturers cannot afford to incur the costs of tooling and expanding manufacturing facilities when there is insufficient raw material to produce on a large scale. Production on a small scale can mean that items must be priced beyond the prices of competing products in the marketplace, so they are not as likely to sell. More than 30 countries cultivate hemp legally, with China being the top producer and Canada second. It is possible to import hemp but with substantial increases in the cost of raw materials. In addition, the transportation requirement–which also increases both the need for fuel and the emission of pollutants–is not aligned with the sustainability values of many members of the U.S. hemp industry. Hemp that’s imported from some countries often contains contaminants and impurities that make it unsuitable for some products, especially foods, medicines and personal care products. So not only are consumers missing out on many sustainable, beneficial products, but the U.S. economy is missing out on its share of profits from the global hemp industry. Meanwhile, awareness about the virtues of hemp is on the rise. Americans recognize its potential to improve our environmental and economic quality of life and are seeking products made from this amazing plant. There are many hemp products available, though many are on hold to enter the marketplace until there’s a predictable supply of U.S.-grown, industrial hemp. So what can you do to increase the availability of hemp products? Sign the petition to make hemp fully legal at the federal level and remove restrictions from hemp farmers in states, including Colorado, where it’s already grown. Write your individual legislators in support of this legislation. Advocate for hemp by educating your family and friends. The Pure Hemp Botanicals website is a great resource, as is that of the National Hemp Association. Ask the merchants with whom you do business to have their buyers seek out hemp products and make them available to consumers. Buy it when you find it – read labels and choose hemp when it’s available. Be sure to check out the great offerings at Pure Hemp Botanicals, made from locally and organically grown, cruelty-free industrial hemp. We appreciate your support of the industrial hemp industry and will continue our efforts to make the best hemp products available to you.